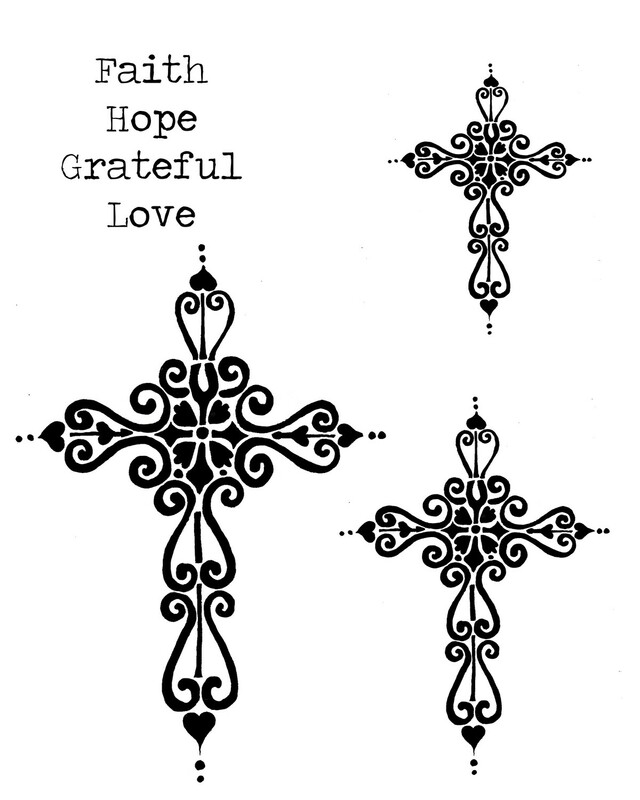 This stencil has a custom cross design in 3 sizes with the words faith, hope, grateful and love. Made with heavy duty mylar. washable and reusable.